Ubuntu Touch is steadily moving closer to being ready for launch, and a big part of that process is getting feedback from carriers about what best practices Canonical should use to make the platform a success. A while back, Canonical started up its Carrier Advisory Group, and had gotten 8 carriers to join at the start, but now it has landed two big ones: Verizon Wireless and China Unicom. Verizon Wireless is the largest carrier in the U.S. with over 115 million subscribers. China Unicom is the second largest carrier in China, but it makes Verizon look almost puny by comparison. China Unicom has over 300 million mobile subscribers, which easily dwarfs Verizon, but that's to be expected since there are only about 320 million people living in the U.S. Both carriers were courteous in their announcements. Verizon said of Ubuntu that it has "the ability to bring new and exciting features to developers and ultimately, customers.” China Unicom says that Ubuntu can be "an exciting new platform for the Chinese market, offering a brand new user experience that balances user simplicity with operator requirements." Even more interesting is that there is talk of China Unicom having exclusivity in bringing Ubuntu Touch devices to the Chinese market. Canonical's Pat McGowan told us that a big reason for creating the Carrier Advisory Group is to find ways of providing "differentiation without fragmentation". And, Pat said that Canonical would stop accepting new members at the end of July. Verizon is going to lock it down like a caged pony. Look at what the U.S.carriers did you Android. After seeing the videos of Ubuntu Touch, I'm excited at the possibility we could see it on phones in the US. We really need a viable open alternative to iOS and Android (especially with Android's mostly closed system and poor updates). Any American provider such as Verizon is going to lock the system down like they do on Android. iOS is more closed that Android muddygeek, Android was built to be open source and iOS was not. As said before, updates are almost always delayed by the provider, not the developer (Google). They have to be approved and tweaked by the provider before they can be pushed out to the consumers. 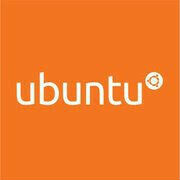 I wouldn't mind seeing Ubuntu in the US. I use Verizon already and want to get a new OS instead of the Android if the recent talks about the Ubuntu OS is true to be more customizable then I can do a lot with it.